Marinate chicken pieces with salt and vinegar, add corn starch just before frying (shake off excess starch), fry the chicken pieces until crispy and set aside. Now prepare the lemon sauce, mix lemon juice, water, sugar and boil in a small saucepan until it bubbles. Add 1 tsp of rice wine vinegar and season with salt and white pepper. Finally add corn slurry (corn starch and little water) and let the sauce simmer and thicken. 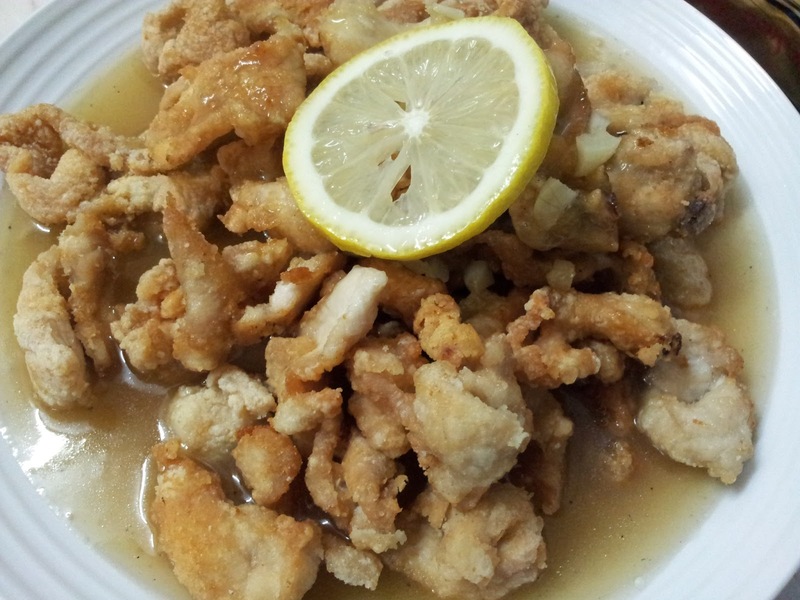 Now pour lemon sauce over the fried chicken and serve while its still hot. Best eaten with hot plain rice, do try and let me know how it turned out for you! Yummy lemon chicken.It sounds like orange chicken. Deliciouly made lemon chicken!! very tempting and inviting love the clicks too!! This is my daughters favorite. She loves this so much. Your version is so tempting too. superb combo dear.. liked your click.. it looks tempting..
first time on your blog and i really love it!i will surely try this recipe.